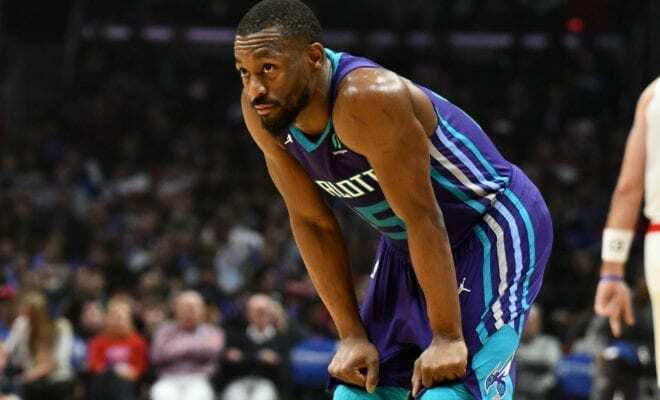 Kemba Walker’s introduction to professional basketball was a brutal one. After winning the NCAA championship with UConn the year before, he’d suddenly landed on what was arguably the worst team in NBA history. Walker was forced to endure losing streaks which lasted 16 and 23 games respectively during his lockout shortened rookie season, as his 7-59 Bobcats finished the year with the worst winning percentage in NBA history. Similarly worryingly was that Walker, a dynamic young player who electrified college basketball, wasn’t playing with his characteristic fire. He needed a boost from somewhere, and he got it from the greatest player to ever play the game, a man who also happened to own the Hornets. “He kind of told me just to be myself, basically,” Walker told Bleacher Report’s Jonathan Abrams of his memorable interaction with MJ. “Told me he drafted me for a reason and he could see what I was doing…He wanted me to elevate my game someway, somehow. Jordan might not have realised it at the time, but that day he awoke the beast within Walker, his words sticking with the explosive young guard for life. The question now, with free agency looming, is whether Walker will stick with Jordan’s Hornets or pursue winning elsewhere. Charlotte has made the playoffs just twice in Walker’s seven years with the team, losing in the first round on both occasions. But with Walker growing extremely attached to his adopted city, don’t expect it to be an easy decision.